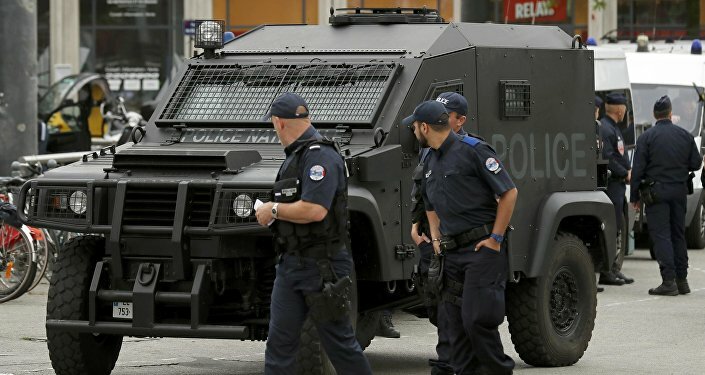 A group of Russian football fans attending the Euro-2016 championships in France has complained about police brutality after the bus they were traveling in was detained and searched by riot police. The supporters were en route to Lille where Team Russia will play Slovakia on Wednesday. “Soon after our bus left Cannes heading for Lille about a hundred police commandoes armed with assault rifles, flagged us down and ordered the driver to move into a nearby pit stop. Then they told us to come out. First they said they wanted to make sure we did not have any firearms or drugs, and then they told us there was a check going on ordered by their Prosecutor General,” Russian Fans Association president Alexander Shprygin, said in an interview with R-Sport. “We said we were not coming out and that we needed an interpreter to clarify the situation. We’ve been sitting inside the bus for a whole hour now. It’s outrageous! Why didn’t they act like this in Marseille I wonder?” Alexander fumed. 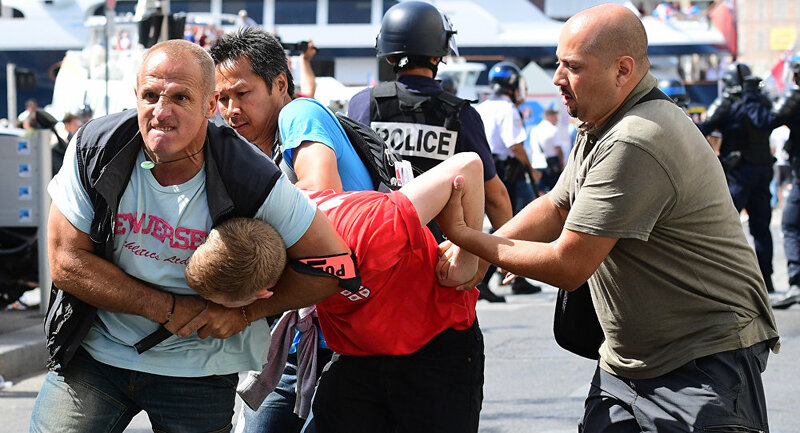 The French authorities have confirmed the detention of Russian fans in the south amid security worries after Russian and English fans scuffled at the end of Saturday’s England-Russia draw in Marseille. Shprygin also said that the first Russian fan to produce his ID to police was told he would be deported. “Right now we are waiting for our Consul-General. They have deportation orders for 20 of our people. They are keeping us without water, aren’t letting us use outside restrooms. It is stuffy in here, we are dying,” Alexander told Sputnik. Meanwhile, Russia’s Sports Minister Vitaly Mutko urged the Russian fans stranded inside the bus to follow the French authorities’ orders. “We need to comply and everything will be fine. There’s been a decision [to this effect] after they analyzed what happened in Marseille. There are people who have identified some of the Russian fans they believe started it all. There is a decision to deport them, but they refuse to come out,” Mutko said. The Minister added that a Russian Consul-General was on his way in to persuade the Russians to leave the bus. On Saturday, the Russian national football team played to a draw with England at the Velodrome stadium in Marseille as part of the UEFA’s Euro 2016. After the game, violent clashes erupted between Russian and English fans. Following the scuffles French police said that some of the suspects had been arrested in a possible prelude to deportation.